Meet 2018 Pin-Up, Sabrina, and her amazing team of Montreal-based advocates! 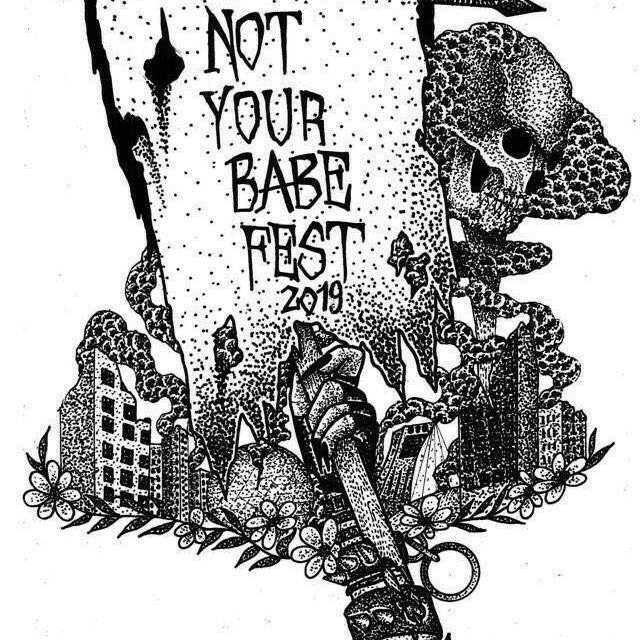 The Not Your Babe fest is a feminist festival promoting a safe space for women, non-binary/genderqueer, and trans people in the counter-culture scene. This festival is put together by women, non-binary/genderqueer, trans people and racialized women, who work hard together in every aspect and who put their organizational skills together to make this a safe space for everyone. In a scene that is predominantly male, we must remember and remind others the importance of feminist fights and struggles since we all still do experience daily the acts of sexism, machismo, and transphobia. This event then allows us to create a feminine and feminist solidarity, to claim and to inform, and to raise awareness. To achieve this, we will be promoting bands, and activities consisting of people who identify as women or non-binary/genderqueer. We will be organizing workshops either on a learning level with sharing experiences and having discussions on feminist topics.